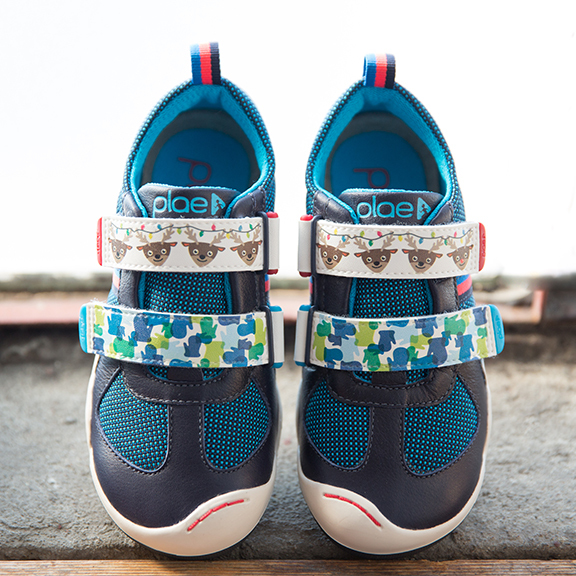 One truly unique feature of PLAE kids shoes is the interchangeable tab system that empowers kids to customize their look and express their own unique style. Matching is for grown-ups! Below are some of the tabs I designed for sale and marketing promotions. For holidays, PLAE often put the tab designs up for a vote amongst their "insider" group of loyal customers. For example, Valentine's Day, below, for which I designed four themed designs with one emerging as the winner for our Valentine's promotion.